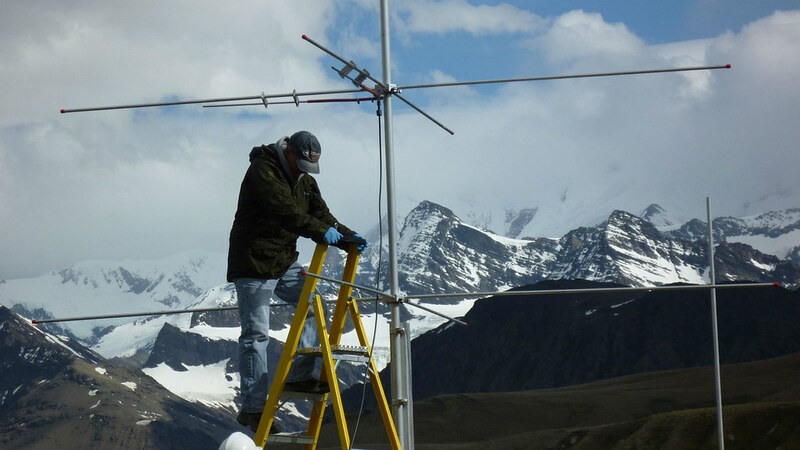 We are measuring atmospheric waves with satellites and radars to improve weather forecast and climate models. Our team gathers data in Antartica as part of this Nerc-funded project. This makes our method much more capable than previous methods. Our project is the first to use such a method to detect ~ 100,000 individual gravity waves over the Drake Passage and Southern Ocean near 60°S. This is a region where “missing” gravity-wave momentum flux in Global Circulation Models leads to the stratospheric cold-pole problem. And one where we know very little about the wave fluxes, sources and intermittency (variability). We are measuring the wave climatology, fluxes and intermittency of the waves and investigating their sources. We are complementing these measurements with data from radiosondes in the troposphere/lower-stratosphere and from two meteor radars sounding the mesosphere. One of these radars is at Rothera on the Antarctic Peninsula and the second, which is the first such radar, on the remote mountainous island of South Georgia. Gravity waves are a type of atmospheric wave that is generated by winds blowing over mountains, storms, unstable jet streams and strong convection. As the waves rise from the lower atmosphere into the stratosphere and mesosphere, they transport momentum in a momentum flux. When the waves become unstable, they 'break' not unlike ocean surface waves breaking on a beach. This transfers their momentum into the atmosphere, causing a drag force that dramatically influences the global atmospheric circulation. We use computer general circulation models (GCMs) for numerical weather prediction and climate research. They must represent these waves realistically if they are to predict the behaviour of the real atmosphere. However, GCMs display biases and predict behaviour that doesn't match the real observed behaviour. The largest biases in nearly all GCMs occur in the winter and springtime Antarctic stratosphere. There they produce a polar region. When compared to observations, this polar vortex is too cold by 5-10 K, has winds that are too strong by about 10m/s and that last 2-3 weeks too long into spring before it breaks. These significant biases are known as the cold pole problem. These biases happen because the GCMs are missing large amounts of gravity-wave flux that must occur in the real atmosphere at latitudes near 60 degrees S. These latitudes include the stormy Southern Ocean and the Drake Passage. However, we are currently uncertain about the nature, sources, variability and fluxes of these missing waves. We are using satellites, radiosondes and radars to directly measure the waves over the Southern Ocean and Drake Passage near 60 S. This will allow us to determine their properties and investigate their role in coupling together the troposphere, stratosphere and mesosphere. Our results will help us to solve the cold pole problem. We have developed a powerful novel 3D method to analyse satellite data. We can detect individual gravity waves in the stratosphere in 3D and measure their momentum fluxes. We are using our method to identify around 100,000 individual gravity waves near 60 S.
We will also be able to assess the contribution by waves propagating into the 60 S region from latitudes to the North of South. We are using a unique combination of meteor radars to measure the winds, waves and tides of the mesosphere. These radars are located in the Antarctic and the remote mountainous island of South Georgia. We are determining the degree to which wave fluctuations in the stratosphere drive the variability of the mesosphere. In particular, we are looking at the role of waves in driving anomalous events recently observed at heights near 90 km in the polar mesosphere. Northward winds of the general circulation appeared to briefly cease and the occurrence frequency of polar mesospheric clouds was greatly reduced. We are using the meteor radars on the island of South Georgia and at Rothera in the Antarctic to investigate recent suggestions that waves generated by mountains can propagate to heights of 90 km or more - effectively the edge of space. We are working with the Met Office to use our results to test and improve their unified model GCM. Our research will lead to more accurate numerical weather prediction and climate research.